Jack N’ Jill DX is a 2D platformer from solo developer Rohan Narang and is a console port of his 2013 mobile game. It comes to us from Ratalaika Games and as ever the Finnish publishers have stuck to their usual formula of making this a cross-buy title with two very easy to obtain platinum trophies for those of you that like that sort of thing. The game itself is a very simple to understand affair. You play as Jack, a small blob, and his job on each level is to get to where Jill is. 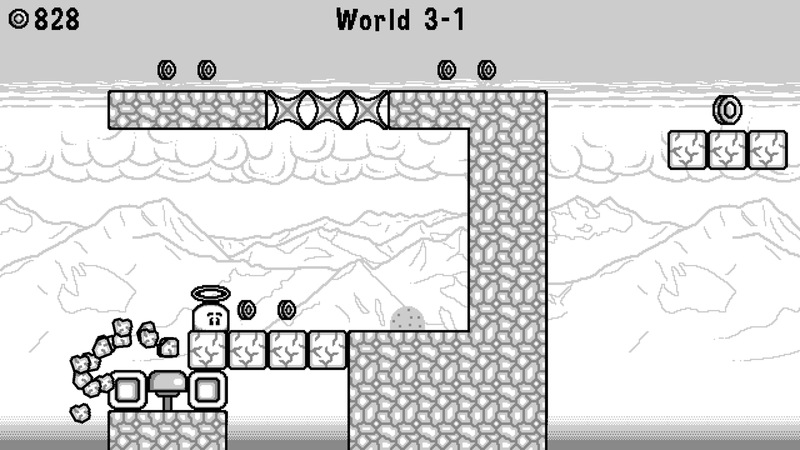 When the level starts, Jack sets off and will not stop until he either falls down a hole, dies on an obstacle or completes the level. You interact with him using the button. This makes him jump and that remains the extent of your ability to interact with him throughout the game’s 120 stages. These stages are grouped into six worlds with twenty stages in each. Each world brings in new hazards to deal with, altering the gameplay slightly but for the most part the skillset you use remains much the same. 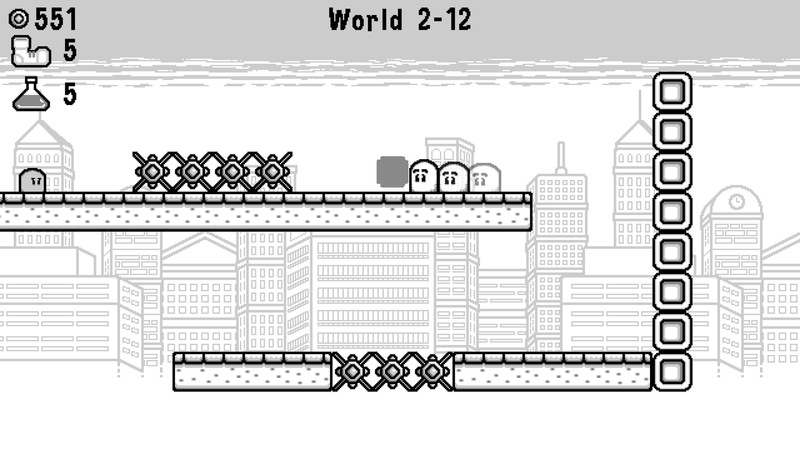 Jack N’ Jill‘s best feature is the way it scales up the difficulty. There’s a very gentle progression from one level to the next and while it takes a little too long to get to the point where each level stops being a formality to complete, when it does get challenging, the game starts to get more enjoyable to play. The limited controls mean that this is never going to be one of those really difficult platformers like Super Meat Boy or N+ but it does at least eventually start putting up a little resistance. 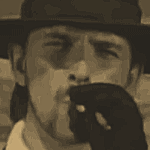 Of course, being a Ratalaika joint, you’ll have earned the platinum on this long before that happens. You can max out this game’s trophies once you beat the first world, which ultimately will hurt the game’s longevity for many players. 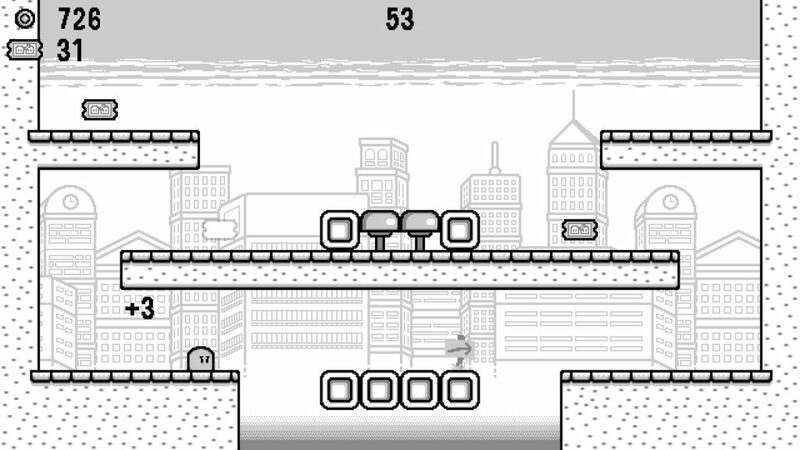 The game’s basic playability does shine through though and when it starts adding new elements such as different obstacle types and power ups for Jack, it does become a better game. Trophy whores will just see the first world and think they’re not missing out on anything but later worlds with their clever levels full of moving platforms, clever power ups and tricky layouts should be experienced. Completing a world also unlocks a minigame. These use the same engine and see you carrying out more platforming tasks but they allow you to earn tickets that can be redeemed for customisation items for Jack and Jill. In 2018, Jack N’ Jill was never going to be anything more than a mildly interesting curio for most gamers however the game’s retro presentation and old school gameplay may well appeal to nostalgic gamers. 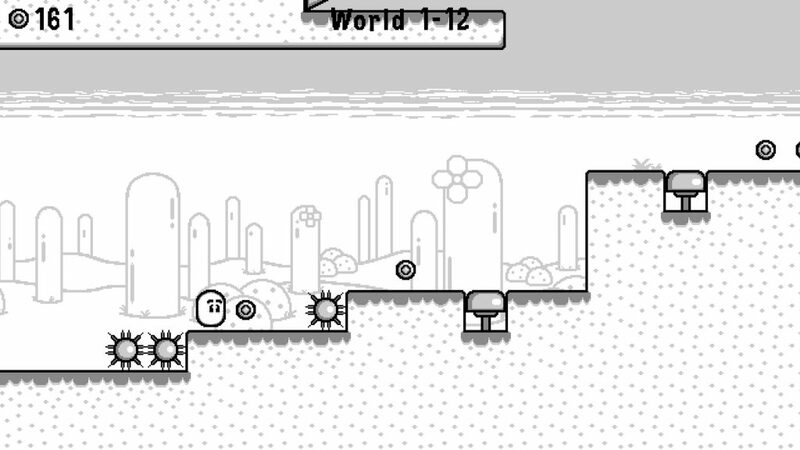 The game opts for a monochrome, 8-bit look that looks pretty authentically like the original GameBoy and the gameplay is also in keeping with that format. With that in mind, the game feels like it probably could run on a GameBoy. You might not fit in all of the levels but idea of Nintendo’s handheld running this doesn’t seem beyond the realm of possibility. That ends up being the game’s main problem and also it’s greatest success. If you want what would be a really good GameBoy title, Jack N’ Jill DX is that. If this had been called Kirby Goes Dating or something like that, people would still be remembering it fondly. But gamers who don’t have a fondness for that era or format will be wondering why they are playing a black and white, one button platformer on their expensive PS4s. The game works equally well on the Vita and arguably the game’s style and presentation fits the handheld format a lot better than it does being on a 50 inch 4K screen. The insistant chip tune music starts to grate a little on either format though. Jack N’ Jill DX does exactly what it sets out to do. 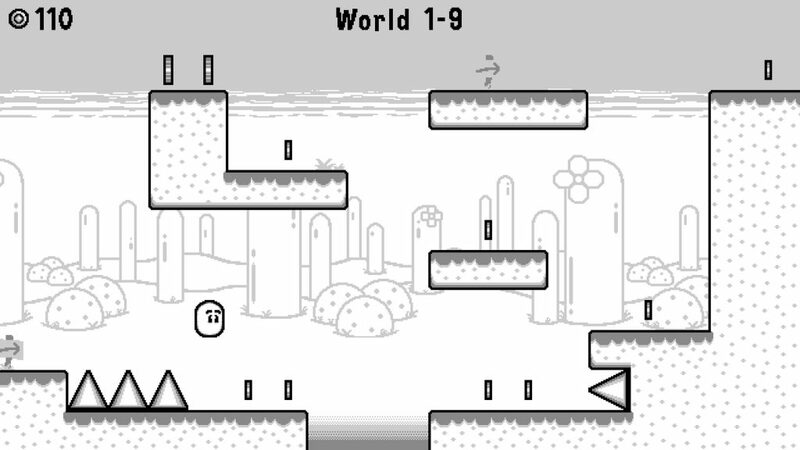 It’s essentially a very good GameBoy title with plenty of levels to get through. The easy platinum trophy somewhat takes away from the game a bit as we wouldn’t have minded there being a trophy for beating all the levels but if you’re in the market from some heavy nostalgia, something to play on your Vita or those trophies, then Jack N’ Jill will be right up your alley. The fact that you could probably port Jack N' Jill to an original GameBoy pretty easily is probably a cause for concern but it would be a very good game for that format. Whether or not that's what you want on a PS4 in 2018 is another matter though.